War is always devastating. Particularly unfortunate, however, is when it destroys families. Sometimes, for reasons of ideology, politics, honor, emotion, or simple geography, siblings can find themselves on opposing sides of a war, or even facing each other over the same battlefield. Richard D’Ewes was set along a different path than his elder brother when he lost the steadying influence of his mother at the age of three. By the time of their father’s death in 1631, the two brothers had remarkably different characters—Simonds had become a staid lawyer while Richard was lighthearted and adventurous. Surprisingly, it was the conservative Simonds who found himself supporting the Parliamentarians, despite being given baronetcy by the king. This was mainly on account of Simonds’s severe Presbyterianism and perception that “atheism, profaneness and ignorance now reigns.” The Stuart dynasty was widely mistrusted for its supposed Catholic sympathies (Charles’s son, James II, got kicked off the throne in 1688 for his Catholicism). 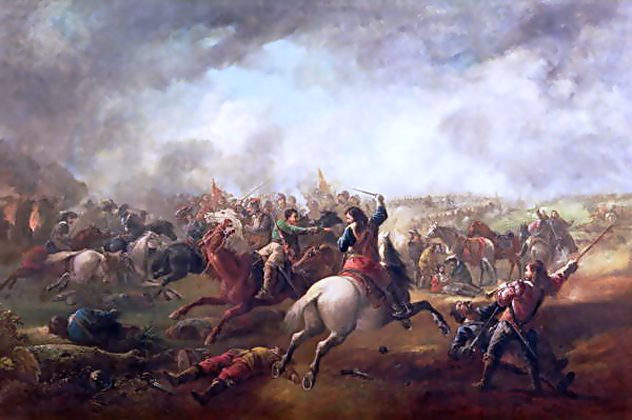 Richard died early in the war in 1643 as a Royalist lieutenant-colonel, while Simonds became increasingly disillusioned, particularly after witnessing the execution of two women who were protesting for peace. Ultimately, he was expelled from parliament in 1648 and died shortly thereafter, though he remains somewhat notable as an antiquarian and diarist. The Akune brothers were all born or raised in the United States—where their father operated a grocery business—but they returned to their ancestral Japanese home after the death of their mother. 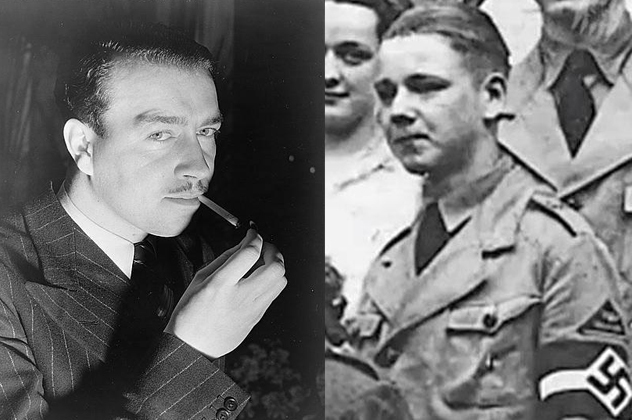 Harry and Ken, having returned to America to seek employment, found themselves interned after Pearl Harbor before jumping at the chance to serve in Military Intelligence. 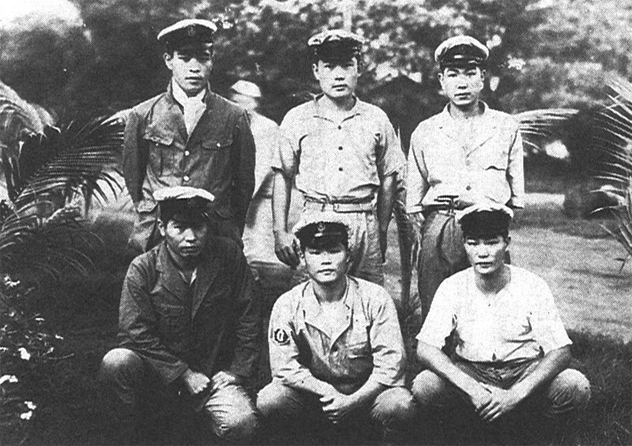 Back in Japan, their two younger brothers were eventually conscripted, with Saburo acting as a spotter for kamikazes and 15-year-old Shiro interviewing recruits at a naval base. Ken worked on propaganda out of Burma while Harry saw active service in New Guinea and the Philippines before they were both stationed in Japan after the war. Unfortunately, they experienced mistrust from both sides—they were discriminated against by some Americans for their ethnicity (which allegedly went to such lengths as Harry having his weapon confiscated prior to a parachute drop), while in Japan they were seen as traitors. This ill feeling extended even into their own family. It finally took an intervention from their father to prevent a fistfight between the Japanese and American branches of the family. With time, however, this hostility faded and all four returned to the United States. Shiro later served in Korea. The American Civil War is often characterized with the phrase “brother against brother,” and nowhere was this truer than in the border state of Kentucky. The Crittenden family is a striking example. Family patriarch John was a longtime senator whose attempts at a last-minute compromise were shot down. Despite this, he remained loyal to the Union and played a part in keeping Kentucky from seceding. However, his eldest son George, a veteran of the Black Hawk and Mexican-American Wars, joined the Confederacy and was made a major-general. 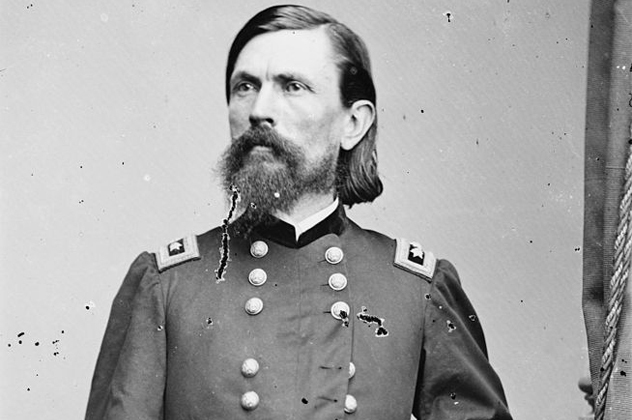 After his defeat at Mill Springs in January 1862, he experienced an eclectic few months—he was transferred to the Army of Central Kentucky, arrested for drunkenness in March, and restored in April before ultimately resigning when faced with a court of inquiry. His younger brother Thomas Leonidas remained loyal to his father and the Union but, just like his brother, he got in trouble with his superiors. Unlike his brother’s drinking, however, Thomas wasn’t to blame—he was scapegoated by the inept General Rosencrans for the defeat at Chickamauga. He was eventually exonerated. In addition to this, a third brother, Eugene, and two cousins (both of whom were also named Thomas), also served the Union, and Thomas Leonidas lost a son at Little Bighorn. While not thought of as such, the American Revolution had many characteristics of a civil war. This is seen by the number of loyalists, which may have been over a fifth of the population. Tens of thousands of these loyalists emigrated to Canada at the end of the war rather than live in the newly minted United States. 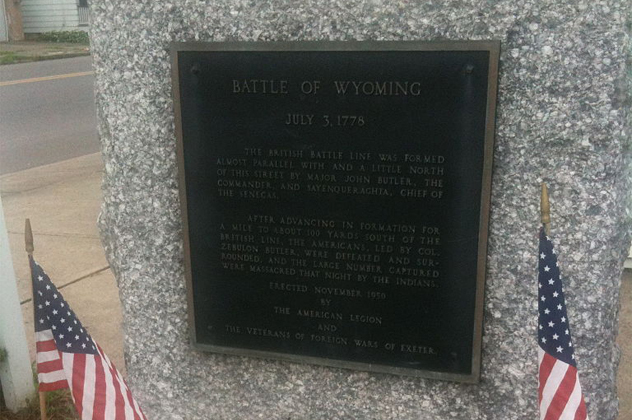 As such, there were many divided loyalties, and this is exemplified by the Battle of Wyoming (which took place in Pennsylvania). “Partial Terry” is the most heinous example of this—he abandoned his family to join the British at the start of the war. When he did return, it was as an enemy raider to brutally murder and scalp his father, mother, brothers, and sisters. In the battle itself, meanwhile, American militiaman Henry Pensell lost his weapon and threw himself at the mercy of his loyalist brother John, who calmly loaded his weapon and shot his brother at point-blank range. It’s very possible that many of these stories of brutality that came out of the Revolutionary War were exaggerated, but they still serve to illustrate the cold atmosphere of a conflict that turned families into bitter enemies. The Verneys were an old family of Buckinghamshire squires who, in the years prior to the civil war, were led by Sir Francis (who, incidentally, later became a Muslim pirate. Upon Sir Francis’s death, his brother (Sir Edmund Sr.) became the leader of the family. Edmund was, for a time, a close friend of King Charles, but as an MP, he was increasingly opposed to the king’s politics. 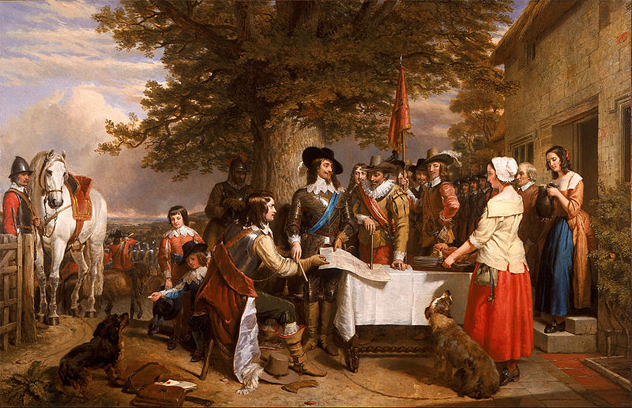 Nevertheless, when war broke out he felt obligated to support the crown and was killed serving as the king’s standard-bearer at Edgehill. Supposedly, his severed hand was found clutching the royal standard after the battle. His death left two sons: Sir Ralph (an MP like his father but a moderate parliamentarian) and the staunchly royalist Edmund Jr. In an exchange of letters, Edmund condemned his brother for causing “a great grief to father.” This, and the increasing radicalization of the parliamentary cause, led Ralph to abandon the parliamentarians in 1643 and flee to the continent. Meanwhile, his brother was a royalist leader at Drogheda in 1649 where, after surrendering, he was murdered by a trooper in the presence of Cromwell. 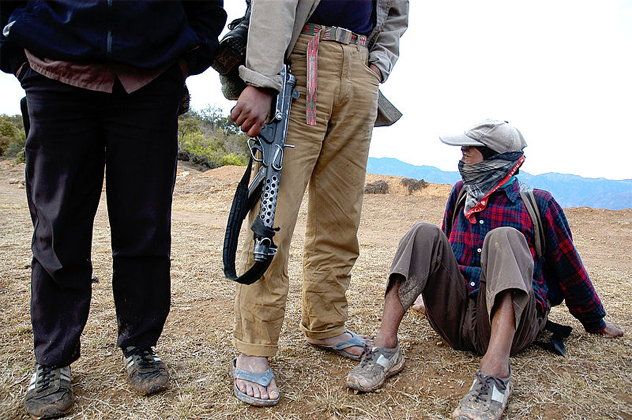 The Nepalese Civil War saw Maoist revolutionaries attempt to overthrow the country’s monarchy. It was a rousing Maoist speech promising equality and freedom from discrimination that drew Juna Rai into the rebel cause in 2003. At the time, she was only in the eighth grade, and she left without telling her father. The following year, she was almost killed by a grenade that left her with a deep leg injury. In 2006, photographer Sagar Shrestha snapped a picture of Juna huddled over in the cold tightly clutching her rifle, a photo which became emblematic of the country’s war-weariness and fatigue. It was only in 2009 that it was discovered that Juna’s brother Bhuwan was in the Royal Nepal Army and that both had participated in the battles of Bhojpur and Diktel. After being interned in the Udaypur Cantonment in 2009, Juna reconnected with her brother, overcoming the indoctrination that she had experienced. As of 2013, Juna and 1,422 other internees were inducted into the royal army, and she is now proud to serve in the same institution as her brother. The Oka family migrated to the United States in the 1920s and ran a hotel in California before returning to Japan due to adverse economic conditions. In 1937, however, the three eldest children—Isao, Masao, and Chikara (“Don”)—returned to the States and were drafted after Pearl Harbor. Due to their Japanese language skills, they were placed in Military Intelligence, with Isao transferred out of the distinguished 442nd Japanese-American regiment to eventually serve as “the voice of American propaganda” from the Philippines, which included reading the Potsdam Declaration (the terms of Japan’s surrender). 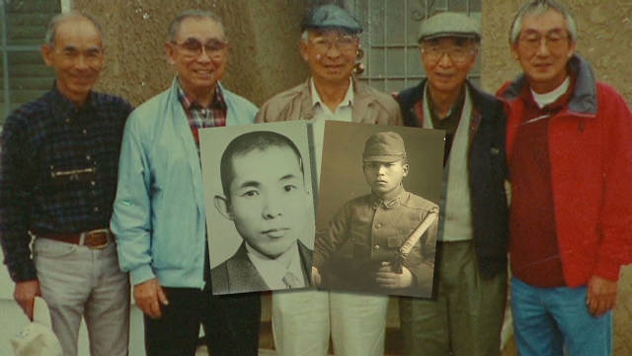 With Masao limited to garrison duty, Don was the only one of the three to see active duty. He fought on the island of Tinian, where he unsuccessfully pleaded with starving Japanese soldiers to surrender. Don’s service on Tinian also included being dive-bombed by his brother Takeo, a pilot for the Imperial Japanese Navy. Tragically, Takeo, an elementary teacher before the war, was shot down and killed on his flight back. Teiji, meanwhile, was conscripted by the Japanese Army in the desperate days of 1945, only to be wounded when his troop ship was sunk en route to Okinawa. After the war, two more brothers, who were too young to face conscription, returned to the United States and joined the Military Intelligence Service for the Korean War. 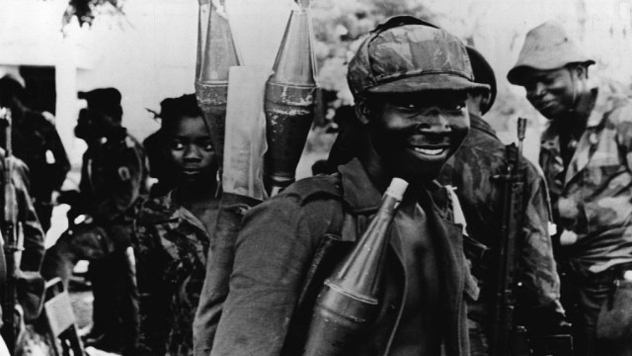 The Angolan Civil War, which raged from 1975 to 2002, was fought between the pro-Soviet MPLA and the US-backed UNITA, both of whom were willing to make use of child soldiers. While his parents and younger brother fled into the forest, Amaral (the elder brother) was taken by UNITA as a teenager. Here Luis experienced near-starvation and the abduction of his mother before he was forcibly conscripted by the MPLA in 1987 at the age of 14. Rising quickly through the ranks, Luis soon found himself commanding a unit of 10 tanks and 150 men, even though he was still a teenager. This was routed in 1991 when anti-tank fire took out nine tanks and all except 30 of the men. Luis survived by hiding in his sole surviving tank for several days. Understandably, Luis jumped at the chance to leave the army during a ceasefire the following year. He studied nursing and now works for several charitable foundations. It was only in 2004, after a separation lasting 30 years, that the brothers met again, with Amaral (who had lost a leg to a landmine) sending a letter from a Zambian refugee camp. Upon their reunion, Luis was shocked to find that the anti-tank missiles which had so devastated his unit had been handled by his brother. The Scottish Campbell brothers emigrated to the United States in the 1850s. James set himself up as a drayman and clerk in Charleston, and Alexander worked as a stonemason in New York (although he occasionally joined his brother further south). Both joined local militia companies. This meant, however, that they were swept onto opposite sides when war broke out, even though they kept up a relatively amicable correspondence. 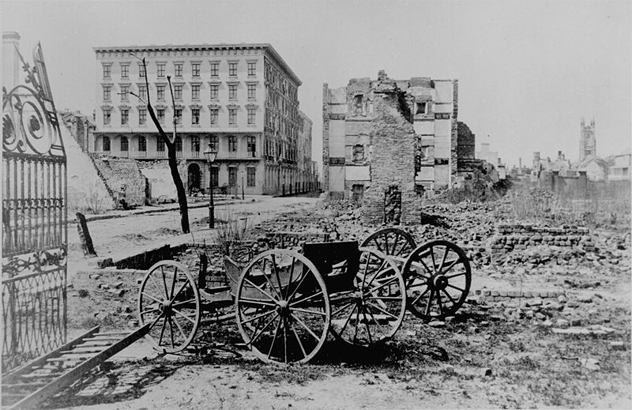 It was over control of James’s adopted city that the two brothers very nearly met in combat, with the Battle of Secessionville stemming from the Union’s attempt to retake Charleston. In the first attack on Fort Lamar, Alexander (as Colour Sergeant of the 79th Highlanders) stormed the parapet and placed the Union flag there, holding his position in the face of prolonged musket and cannon fire until ordered to withdraw. James was among the defenders and stiffened Confederate resolve at a critical time by mounting the parapet unarmed and hurling a log into advancing Union troops. William’s half-brother Heinz, meanwhile, was his uncle’s favorite nephew. He loyally joined the Wehrmacht, although he was later captured by the Soviets and killed in 1942. The United States Navy was eventually induced to accept William after he wrote a letter to the president. He attained the rank of Pharmacist’s Mate before receiving an honorable discharge in 1947. Following the war, he changed his name, and his three sons now live quietly in Rhode Island.